This is a guest post! Please join me in welcoming Channing of Blue Mountain Belle! Get all the details on my outfit in this post! Hey, Y’all! My name is Channing. Yes, I am a Southern girl but five years ago I fulfilled that manifest destiny and headed west to Colorado. Over the last few years, I have zigzagged the state exploring every little mountain town and sharing it on my blog Blue Mountain Belle. From bluegrass festivals to three-day float trips I have managed to see them all… well almost! Today, I wanted to share with yall a town a little off the beaten path. Do you like hot springs? How about Champagne? 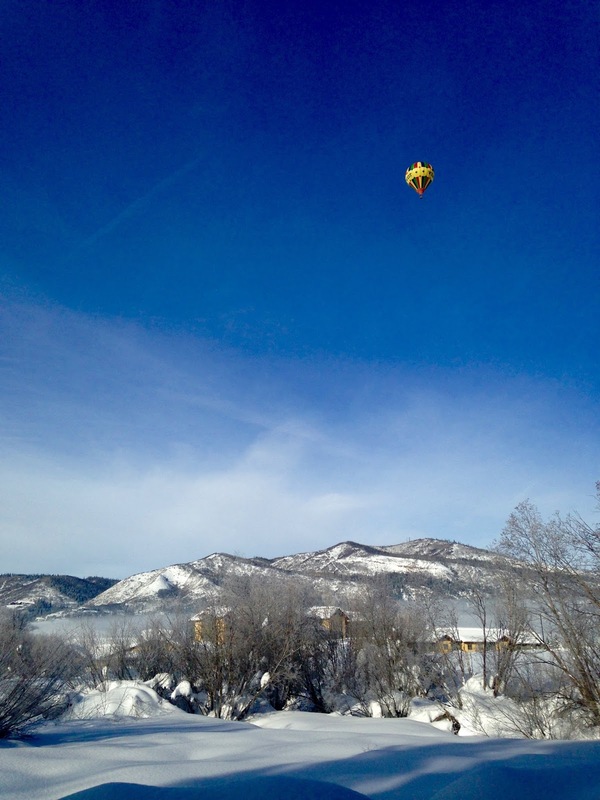 Then you will love Steamboat Springs! And by Champagne, I do mean that beautiful Champagne Powder! That’s what the locals call the fluffy snow that falls in north-central Colorado. Only a three-hour drive from Denver this ski town is never overcrowded, not nearly as expensive and still offers world-class skiing and views! Hate the cold? Me too! As the saying goes “You move to Colorado for the winter, but stay for the summer.” Summer in Colorado is magical. Warm weather and an endless amount of activities draw you to Steamboat. From hiking, biking, climbing and world-class fishing on the Yama River, there is no shortage of activities to do in this mountain town. Those hot springs I mentioned? Well, those are some of the most beautiful hot springs in the country! Strawberry Hot Springs is a treat no matter what season you visit. After a long day of activities and a hot spring soak time to head into town. Stroll and shop on Main Street, grab a beer at one of the local breweries along the river or sip a margarita from my favorite rooftop bar. Whether you choose summer or winter or even fall I have mapped out everything you need to know about Steamboat. Read my summer guide here and winter guide here. PS. If you’re not sure what to pack for your ski trip check out my packing guide here.